This Saturday is Veterans Day, and teams around the country will honor the U.S. military with various jersey combinations and helmet decals. 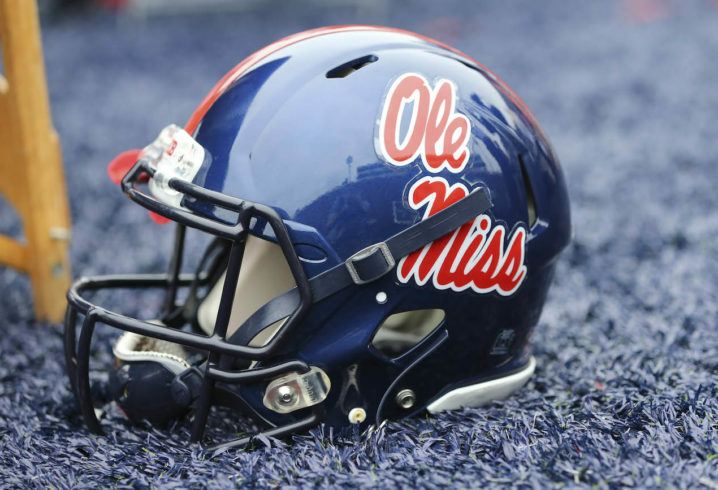 The Ole Miss Rebels are getting in on the action, unveiling a special helmet decal on Wednesday that is sure to impress fans. It’s great to see the Rebels getting creative with their helmet decals and great to see so many teams honoring the military. The helmets are sure to be a hit with fans in Oxford this weekend. 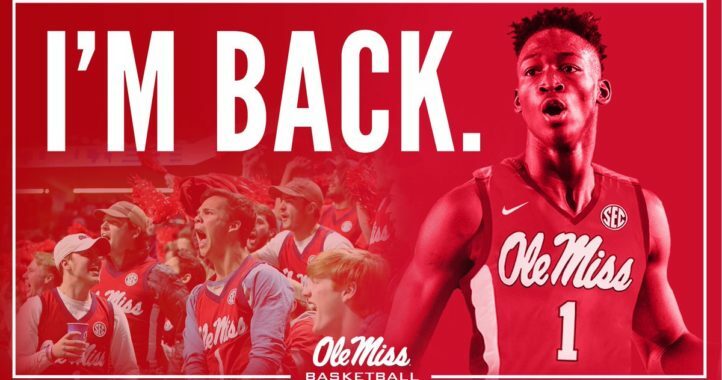 The Rebels host Louisiana-Lafayette in their final non-conference game of the year. The game kicks off at 11 a.m. Central time and can be seen on the SEC Network. Your post summarizes Mississippi State perfectly. A jealous, apathetic fool who cannot even see past the red in their eyes for a big brother school. It’s to honor veterans, you trailer park virgin. 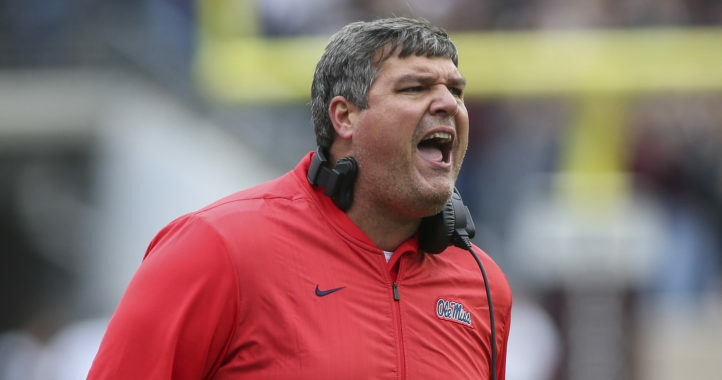 You would not even be in the SEC if Ole Miss wasn’t. What was Ole Miss school rank this year? #328 in the nation? A good many schools ahead of State at #550. Time to start praying Dan Mullen doesn’t head to Florida because without him, no one will ever get up early to ring cowbells in Starkville ever again. Are there any good programs at State? Like Any? Ole Miss has four top-ten academic programs in the nation. Your enrollment is 90% decided by your football season. How about you man up and go serve instead of bashing on a VETERANS DAY HELMET POST on an online sports forum. No, not form, I know you probably don’t know what that word means but just look it up when you pay your electric bill with your Christmas bonus. Hahahahahahahaha! Where did you come up with that enrollment garbage? Where are you even pulling these info from? Should’ve probably just left the last sentence off so that you didn’t seem like you were trying so hard. “This could be what the Psychology Today article “Why We Laugh”, (Lickerman, 2011) refers to as ‘nervous laughter’, suggesting that this response is both for reassurance (as suggested by Tyler Langan’s comment) and also a means to build resilience in the face of potential trauma.” I’m sorry I traumatized you Dawg44. It COULD be I guess, but that article doesn’t really apply here. Contrary to what you believe, State fans can actually read. I’m not suffering. I haven’t experienced pain, lost any limbs or experienced any sort of terrible, traumatic event from reading your comment. Don’t flatter yourself. Your comment was not that extreme. Just flawed. You certainly didn’t say anything original that I’ve never heard an OM fan say before. I was laughing at your first comment full of things you believe to be facts that simply are not. I guess just laughing at your BS you are spewing to make yourself feel better. I’m not laughing at the pain that OM has caused you from terrible decisions they have made over the past couple of years. That chuckle has come and gone. All I have to do is sit back and watch now. Thanks for deflecting and dodging my questions about clearing up any discrepancies some one might have with your first comment though. You’re shining all sorts of new light on how superior OM is for every one to see. It has been four days since there was an article written on Ole Miss and this is what they decide to publish? Is this satire or just an attempt to avert from the dumpster fire that is burning in Oxford? I honestly didn’t even know Ole Miss had a game this week, neither did SDS I guess. As a state fan who has been guilty of empathetically relishing in an Ole Miss loss, it just isn’t fun anymore. I suppose I am a decent person who can’t kick a bear when it is down. LOL! I can’t wait for the egg bowl. You guys crack me up.